As one of the UK’s leading providers of decorative resin floors and microscreeds, Imperial Resin Coatings provide exciting and innovative, design-led options when it comes to creating a modern floor for the 21st century. IRC install truly stunning decorative flake, poured resin and microscreed floors which put luxury and beauty right beneath your feet. 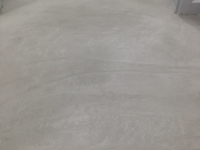 Our revolutionary poured resin flooring is chic, sleek and extremely stylish, whilst our waxed concrete microscreeds are an innovative alternative to polished concrete. IRC will provide you with smooth and seamless microscreed and poured resin flooring at the cutting edge of interior design. 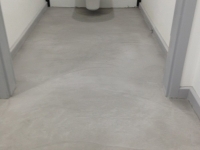 Whether you’re looking for an innovative, flawless residential flooring solution, or an inspiring look for your commercial property, decorative flake, poured resin floor or microscreed are incredibly well-suited to both domestic and commercial interiors. Poured resin flooring is one of the few flooring solutions which is both incredibly beautiful and fantastically functional all at once. It is not only noise absorbent but highly durable, soft beneath your feet and easy to clean. In the meantime, poured resin floors offer you a stunning finish which cannot be matched by conventional flooring materials. Poured resin floors are an extraordinarily creative flooring solution which can be designed to achieve any effect you have in mind. From bespoke patterns and effects, to any colour you can imagine – they can even incorporate glamorous sparkle and a liquid surface look. Poured Resin floors are compatible with underfloor heating. 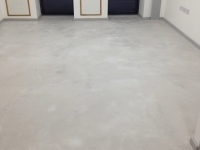 Microscreed floors are created from a long lasting material that will resist everyday stains and abrasions. 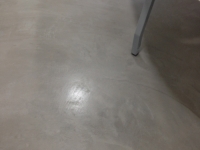 Please go to www.achtisgroup.com for more information on a wide and exciting range of floor techniques and finishes.